There are times when we are just fed up of working and typing on our tablets and wish that there could be a keyboard which we could use at ease. And for all those praying to God for the same, Microsoft has a cool wireless keyboard just for you. Microsoft has today announced the launch of a new Bluetooth keyboard. Called the Bluetooth Mobile Keyboard 5000, it is the first multi-platform keyboard that is compatible with the iPad, iPad 2 and also Android tablets. There are no wires to irritate you, it is sleek and small, weighs just around 400 grams, so you can carry it anywhere you go in your backpack. It has a total of 104 keys on it and is powered by removable and standard AAA batteries. The Bluetooth Mobile Keyboard 5000 is also compatible with your PC so you can actually use just one keyboard for your PC and also your tablet and that too at ease. 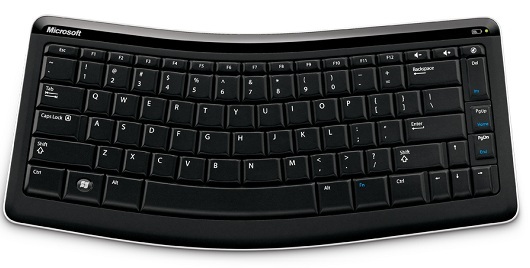 The Microsoft Bluetooth Mobile Keyboard 5000 is now available in India at a price of Rs. 3,350.